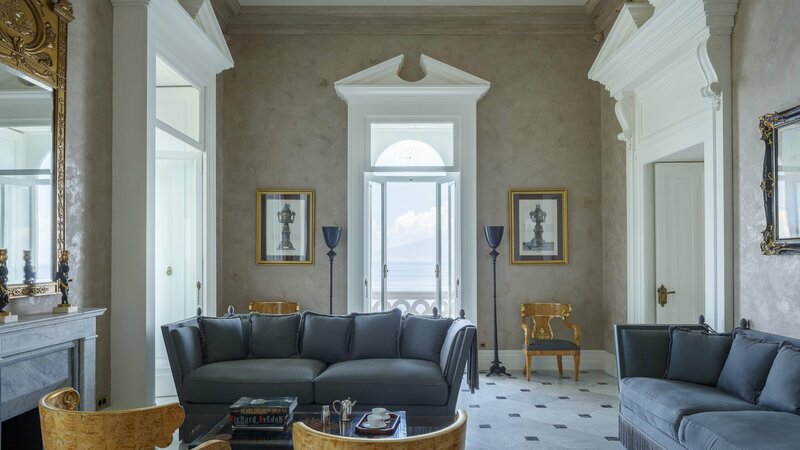 Perched on the cliffs of the Sorrentine Peninsula, overlooking the characteristic bays of Marina Grande and Marina Piccola, Villa Astor seems to dominate from the Gulf of Naples. 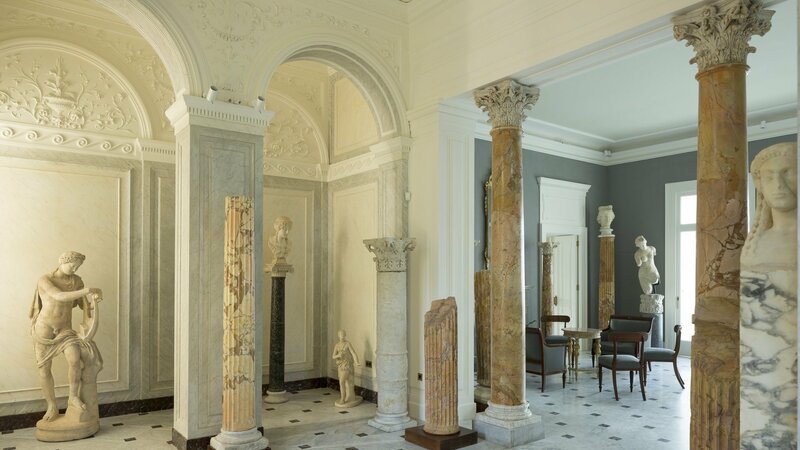 The magnificence of this villa is greatly understood looking at the photos, yet this villa’s story is even more surprising, as it is suspended between myth and reality. 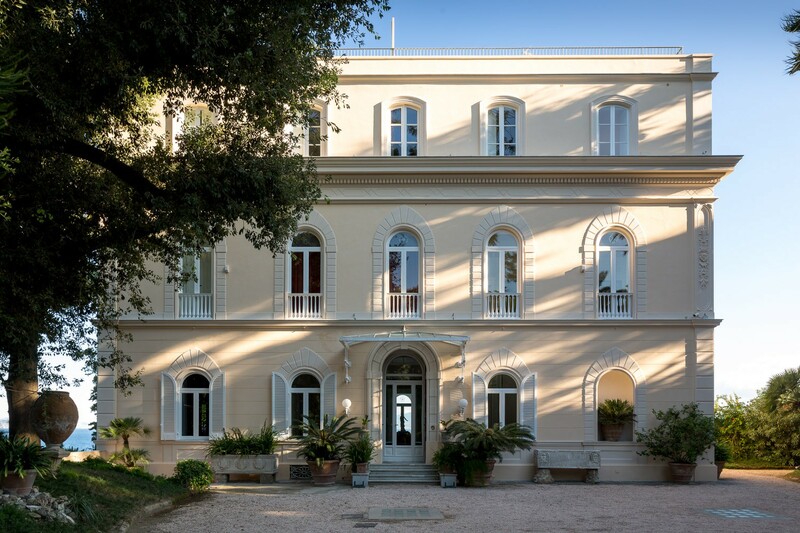 The mansion that once belonged to the philosopher Benedetto Croce in the early 1900s, overlooks the sea and was built on the remains of a Roman villa. 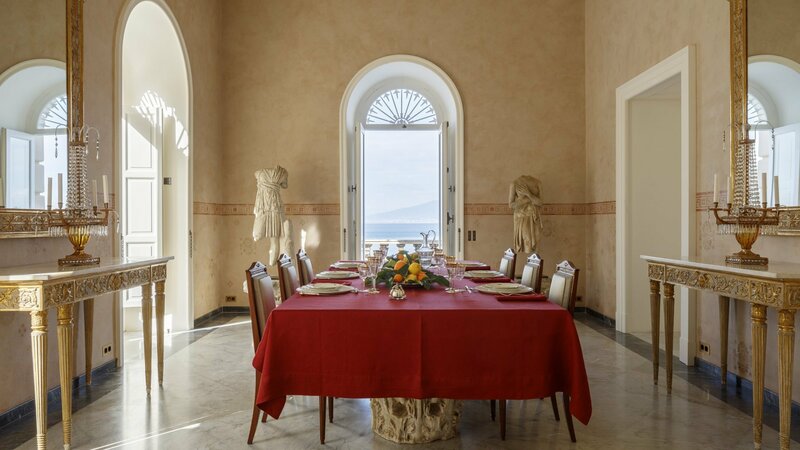 Built by Agrippa Postumus, grandson of Emperor Augustus and dating back to the 1st century A.D., the villa is surrounded by sprouting greenery and ornamental ponds, archaeological finds and the remains of an ancient villa. 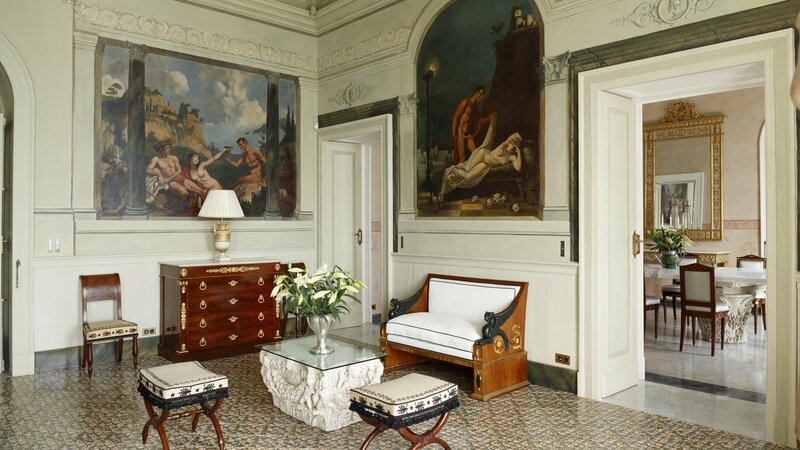 Villa Astor is equipped with a swimming pool and a garden of 2 hectares of land, considered among the top ten of the most beautiful gardens in Italy. There is also a direct access to the sea through an amazing internal pool in a natural grotto. 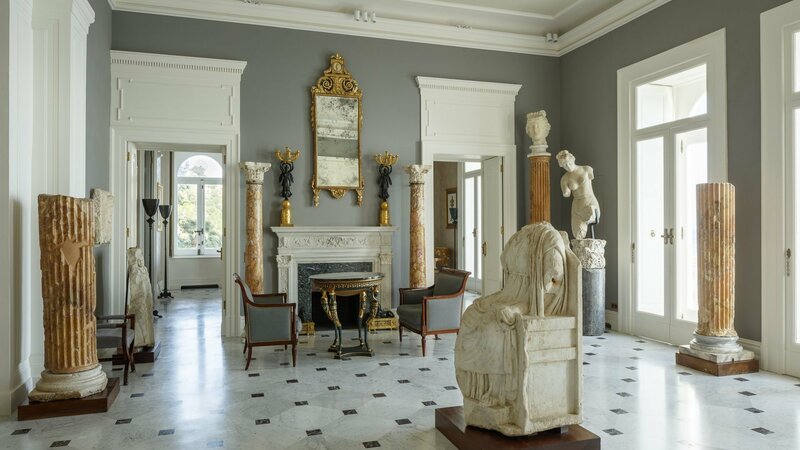 We can consider this wonderful place a real private museum, in such a way that it was declared being of great historical and archaeological interest. 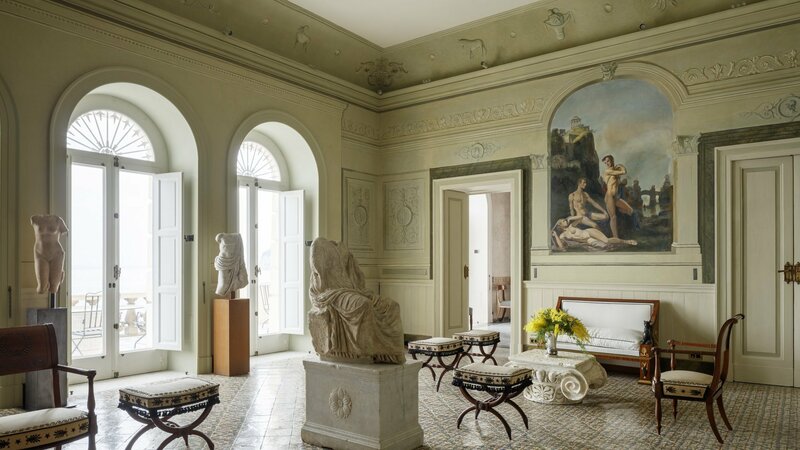 The myth says that Villa Astor, previously known as Villa Tritone, had illustrious visitors like the famous Roman poet Ovid who was born in 43 A.D. 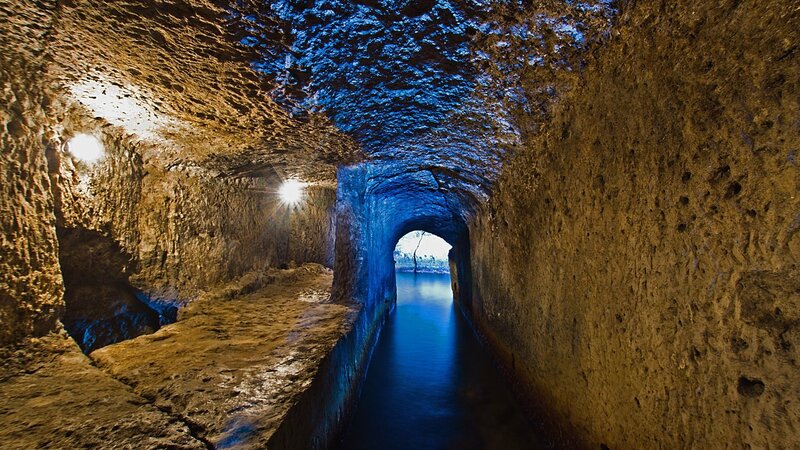 The history certifies that this was a place for pilgrimages of Torquato Tasso, Italian poet, writer and dramatist of the sixteenth century. 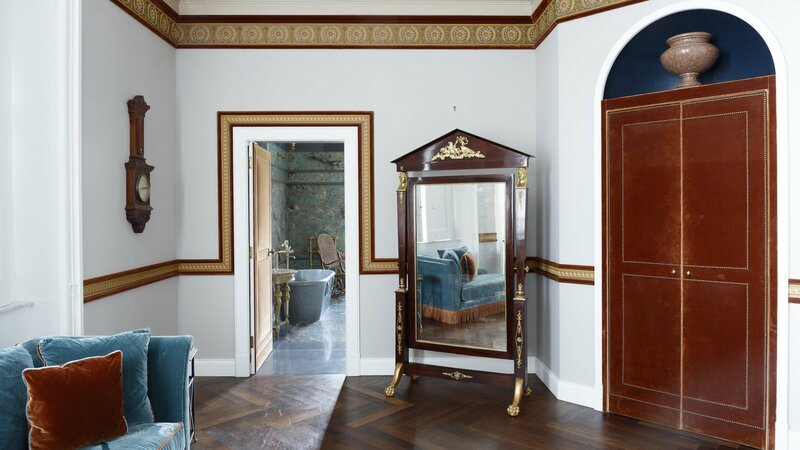 At the end of 1800 the villa became property of baron Labonia who renamed it “Aux Roches griges” as a tribute to the cerulean ridge that supported it. 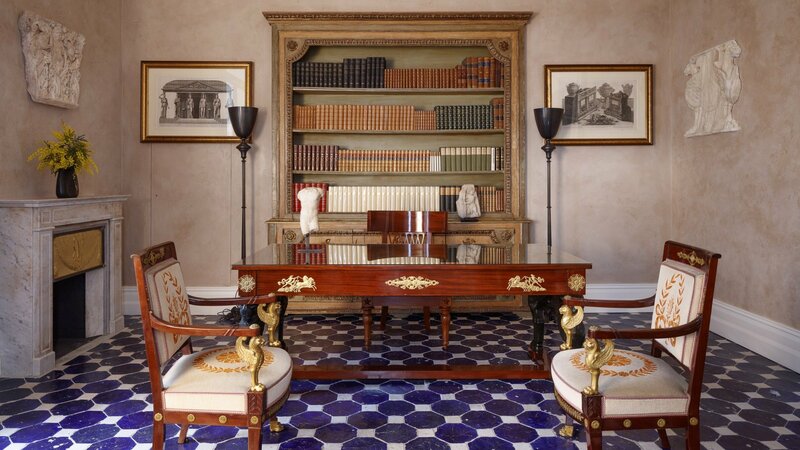 Then during the Belle Epoque the villa was bought by the extravagant English publisher William Waldorf Astor, ambassador to Italy, who designed the splendid garden at the back of the house where a 13th century convent once stood. 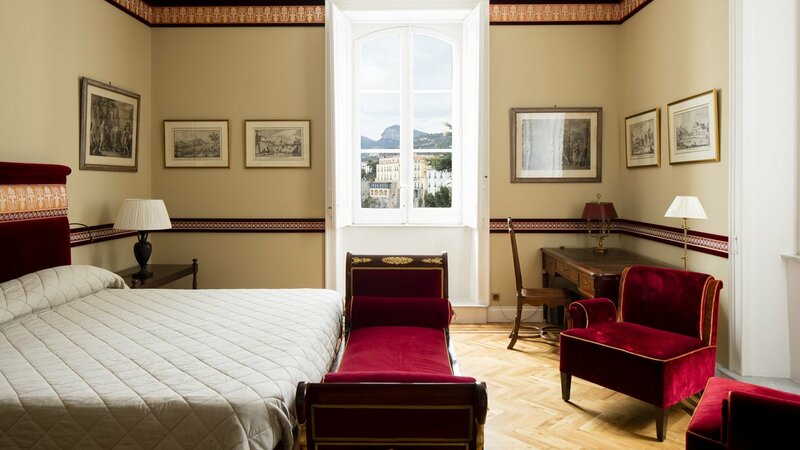 From 1943 to 1945 Villa Astor was the residence of Benedetto Croce, philosopher and political activist, who remembered those years of war in the diary “When Italy was cut in two”. In the study of this unique, historical environment, enhanced with marble columns, Greek and Roman statues and many other works of art, the official declaration for the first post- World War II Italian government was signed. 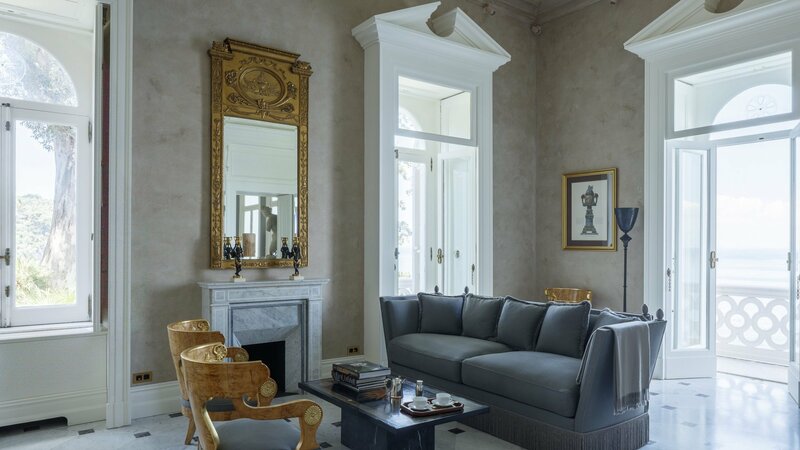 Considered the most prestigious villa of the Sorrento coast, it expresses great charm with breathtaking views. 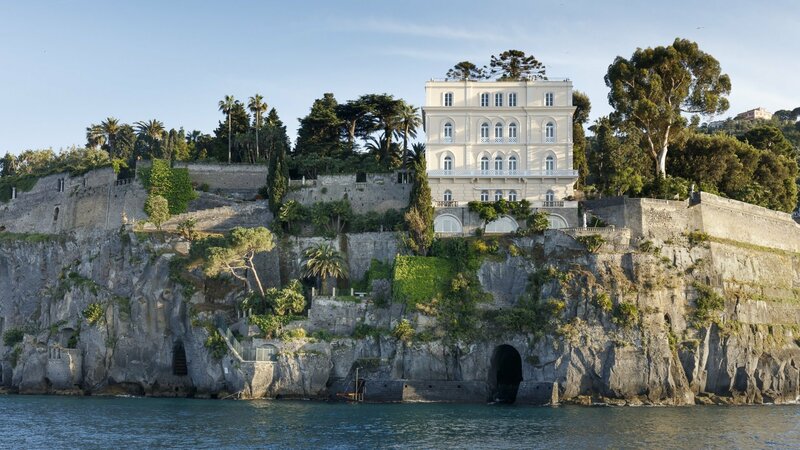 The bay of Naples is undoubtedly the most spectacular bay in Italy. To the North are the cities of Naples and Pozzuoli, to the East lies Mount Vesuvius, and to South the town of Sorrento. The islands of Capri, Ischia and Procida are also situated in the bay and are connected to the mainland by a ferry service. 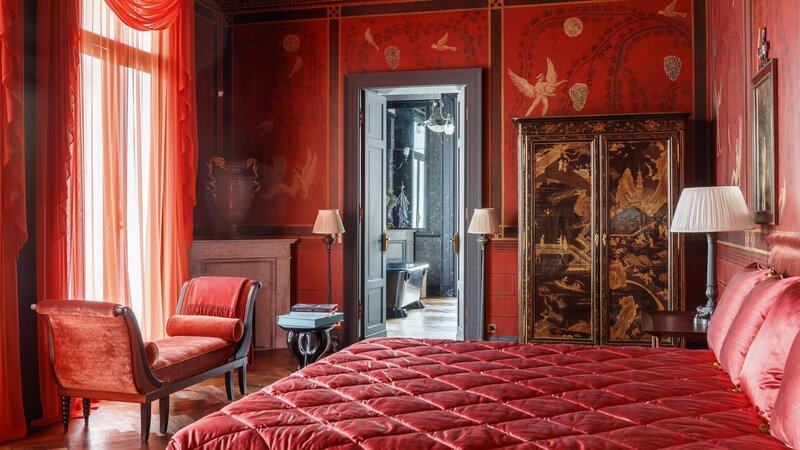 In ancient Roman times, the wealthy citizens of the empire spent pleasure - filled days there as can be seen in the frescoes of archaeological site of Pompeii and Herculaneum. Privacy is combined with sophisticated security. A private swimming pool in the idyllic garden setting complements the villa. 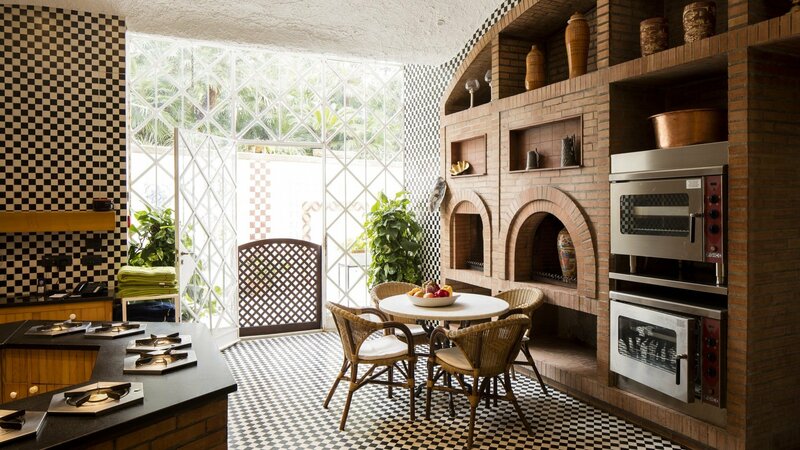 Last but not least, the location combines beautiful scenery with practical appeal. 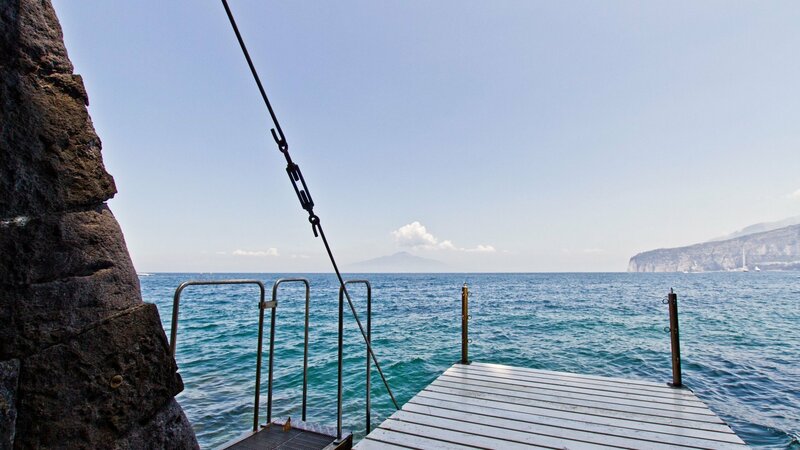 Although nestled in the heart of a tranquil neighborhood, accessed by the typical, narrow roads of the old town, it is just a five minutes walk to the lively town center of Sorrento where one can fully enjoy the charming atmosphere of the local life. For the more adventurous, the Sorrentine Peninsula has become the hub for a variety of destinations on the Amalfi Coast. Within reachable distance by car or by boat are Naples, Pompeii, Positano, Ravello and Amalfi, as well as the islands of Capri, Ischia and Procida. 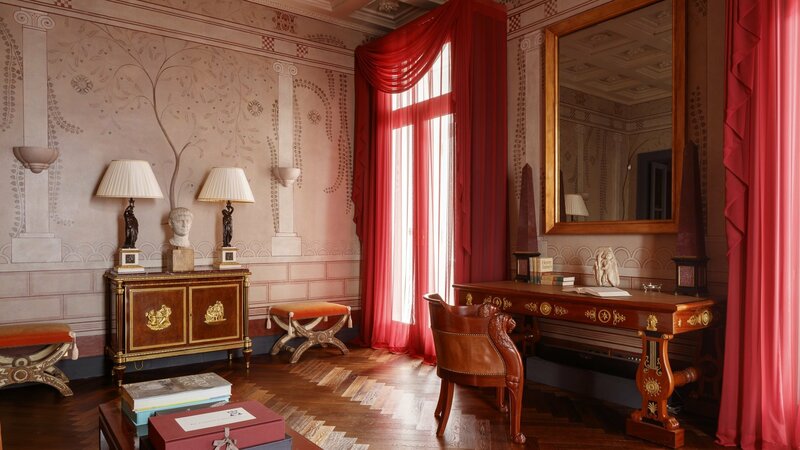 Villa Astor has recently been restored with precious materials and furnished with objects and valuable antiques, chosen by the famous Parisian architect Jacques Garcia. 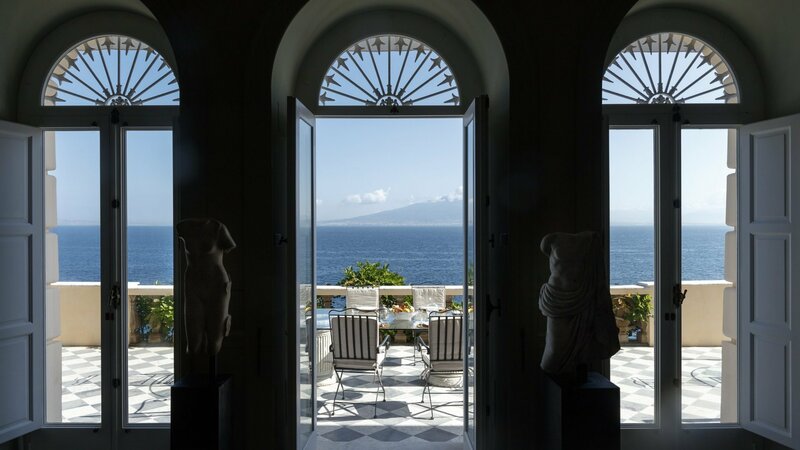 The grandeur of the villa also appears in the size of the windows, which frame the stunning view of Mount Vesuvius overlooking the sea and the entire bay. 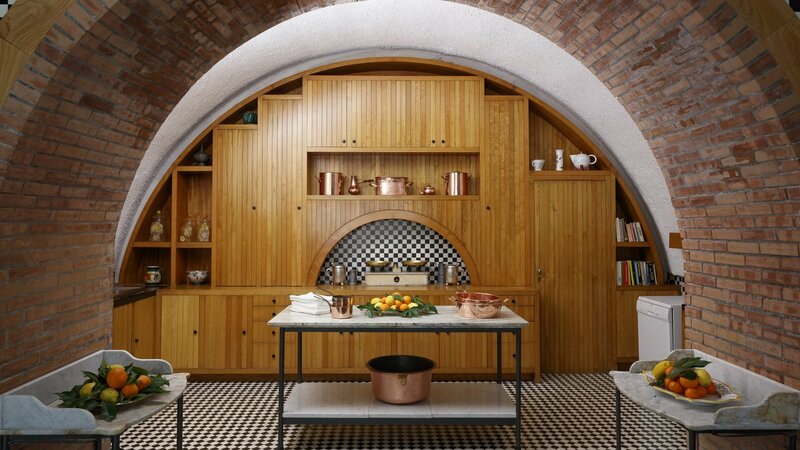 The spacious kitchen is well equipped and ideal for cooking anything from simple snacks to exquisite dinners. hall, living area with doors opening to big outdoor terrace with table, piano room with access to outdoors, dining room with table for 8/12 people and access to outdoor terrace, fully equipped kitchen with cooking island, laundry room and guest bathroom. 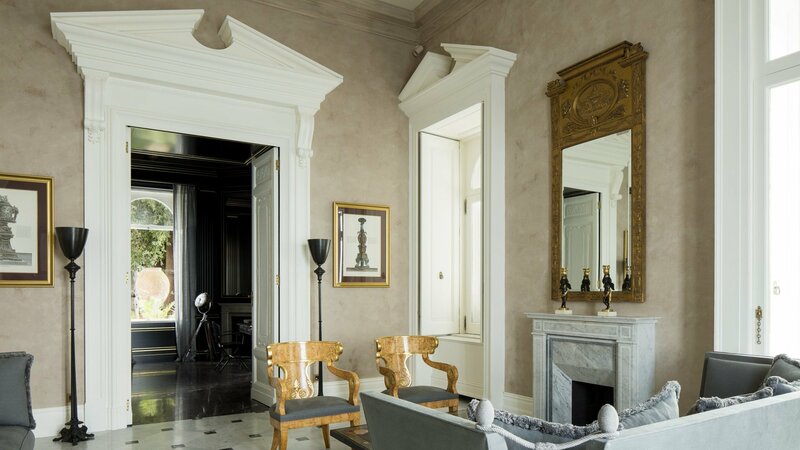 entrance hall with access to terrace, living area with fireplace (decoration), arts/antique corner, studio (previously of Benedetto Croce) with access to terrace, laundry room. living area with TV, fireplace (decoration) and sea view. bedroom 1: double bedroom (king size bed, not convertible into a twin), decorative fireplace, flat screen TV, fridge, safe, balcony and en suite marble bathroom with bath tub and big shower cabin. bedroom 2: double bedroom (king size bed, not convertible into a twin), sea view and en suite bathroom with bath tub, shower cabin and sea view. bedroom 3: double bedroom (king size bed, not convertible into a twin) with TV, en suite bathroom with bath tub, shower cabin and view of Sorrento. bedroom 4: double bedroom (king size bed, not convertible into a twin), TV, sea view and en suite bathroom with bath tub and big shower cabin. bedroom 5: double bedroom (normal double bed, not convertible into a twin), TV and en suite bathroom with shower cabin. bedroom 6: double bedroom (normal double bed, not convertible into a twin), TV, sea view and en suite bathroom with shower cabin. 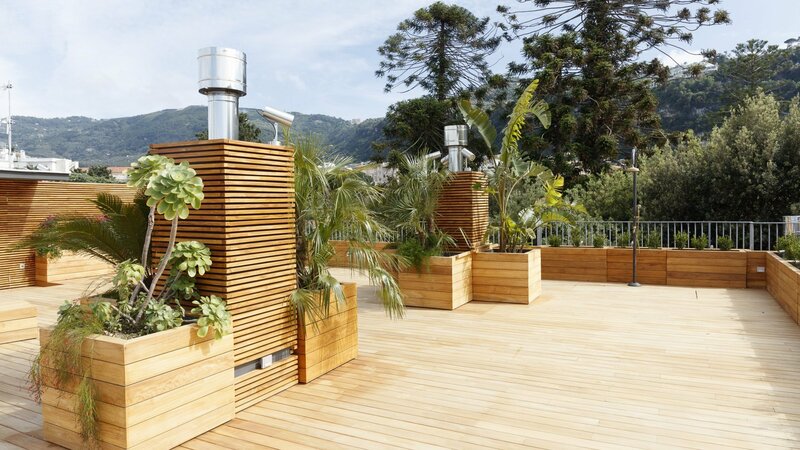 big outdoor wooden terrace with amazing view. a separate annex is connected to the main body through the external stairs of the main terrace. Gym room with step machine and weights, lounge area. 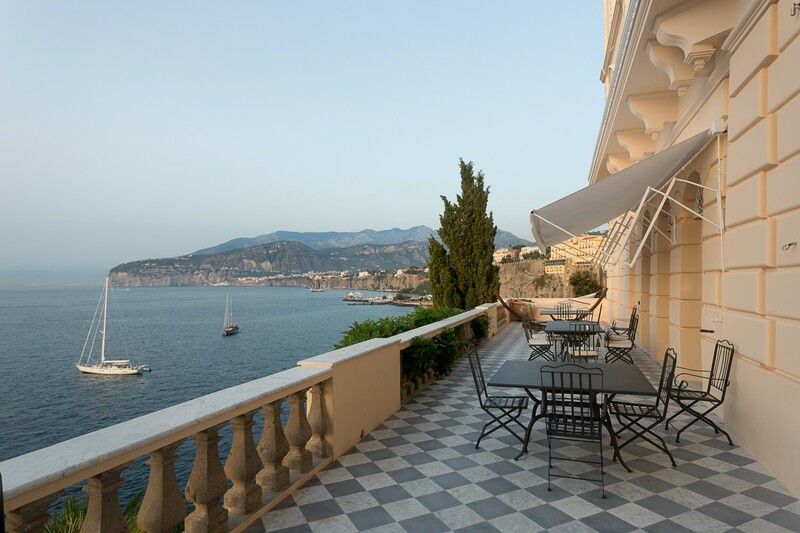 sundeck on the roof with sea views, expansive terrace with 180 degrees sea views, garden of 2 hectares. 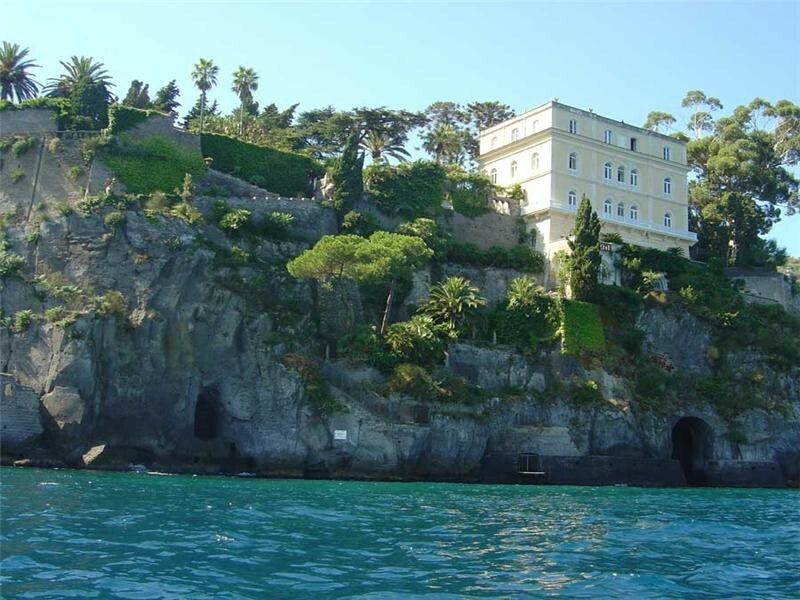 Villa Astor is graced with an amazing internal pool in a natural grotto with direct access to the sea. It is also known as “Bagno dei Frati” (“Bath of the Friars”). Swimming pool with partial sea view and outdoor shower. walking distance to restaurants, bars, supermarkets and shops in Sorrento. 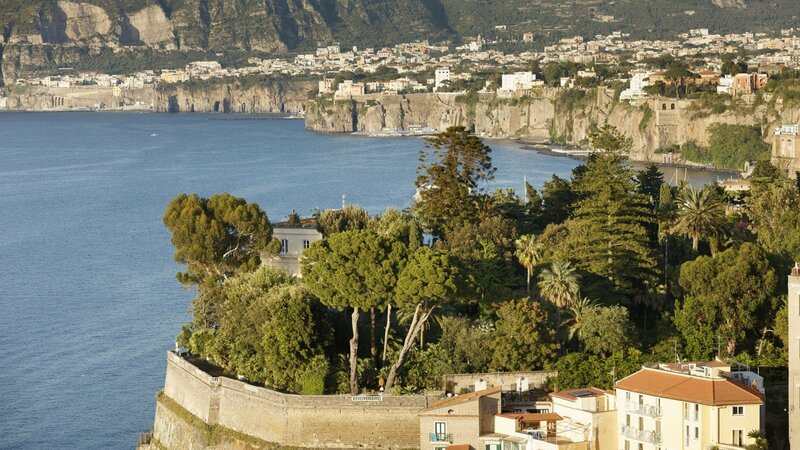 Walking distance to the beaches of Sorrento. Hospital 550mt/0,34miles. 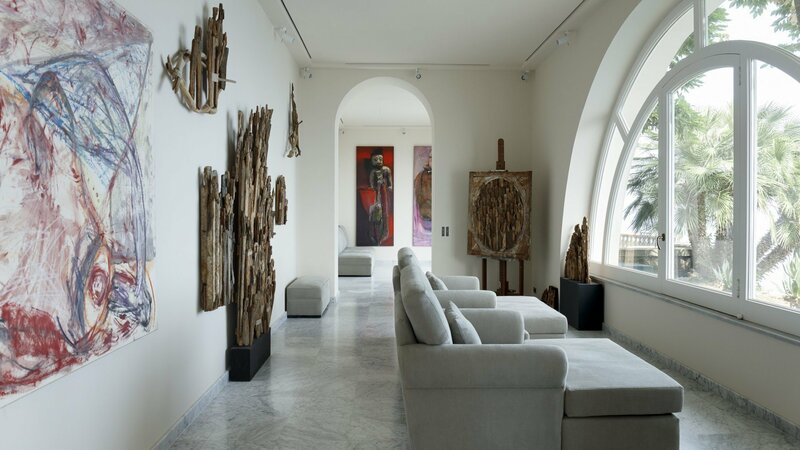 for the safeguard not only of the guests, but also for the protection of such art/archaeological collections, the external and internal common areas of the villa are monitored by video-cameras connected with a private security company and during the night the external areas of the villa are periodically visited and checked by private guards. 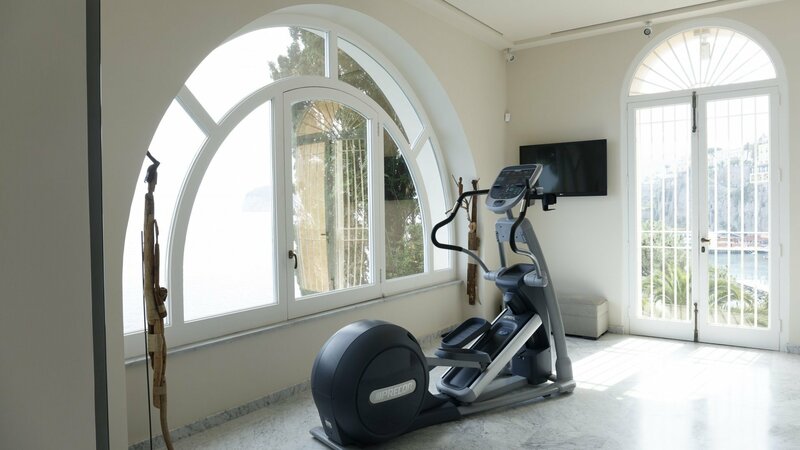 There are 21 steps from the kitchen to the gym and there are 100 from the gym to the private sea access. Note: deposit payment 50% required at the time of booking, balance 50% due 70 days before arrival. Minimum 3 night stay during low season and 7 night stay during high season. One day rental is possible in case of wedding or special event. 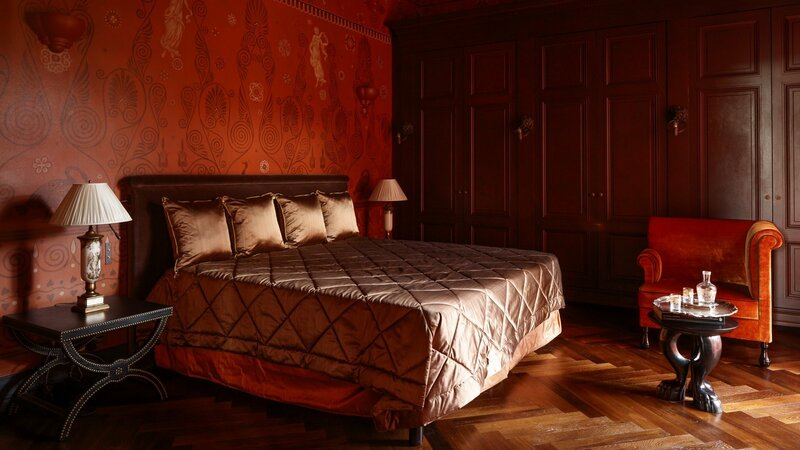 Concierge service, change of towels and linen on Saturday and midweek, final cleaning, heating, air conditioning, cooking service 8 hours per day, waiter 8 hours per day, porter service (upon arrival and departure), daily maid service (5 hours). cost of the food and beverages: a deposit of minimum EUR 5.000 for the cost of groceries to pay together with the balance payment of the villa (based on receipts the property owner will give the remained amount in return), laundry service, extra change of linen and towels, telephone. Marina Grande within walking distance, Positano 12km/7,5miles, Capri island 10km/6miles, Naples 50km/31miles, Royal Palace of Caserta 75km/47miles. airports: Naples Capodichino 1 hour drive, Roma Fiumicino 3 hour drive. For private aviation: Naples Municipal airport. "All the family enjoyed the stay very much. All the staff was very freindly and and did everything to make our stay very pleasant. The Chef prepared great food."